A leading pig vet has warned going too far, too fast in removing antibiotics in livestock could have devastating implications for animal welfare. A Rapid and uncontrolled reduction in antibiotic usage on farms could seriously damage the health and welfare of livestock, a leading pig vet has warned. 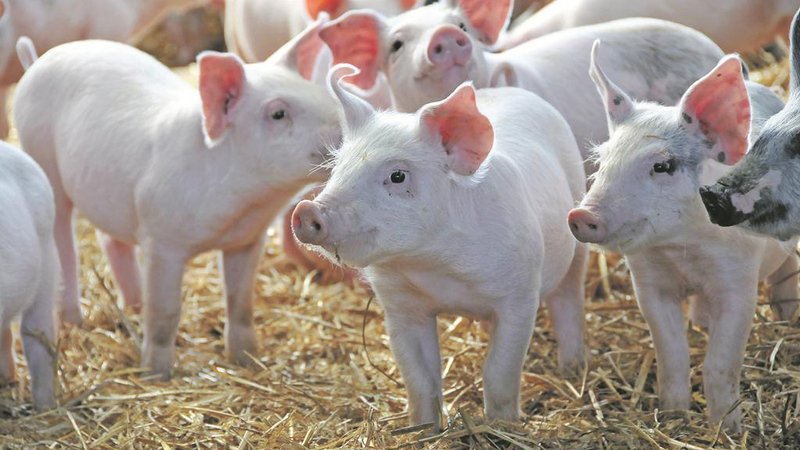 Mark White, the next president of the Pig Veterinary Society (PVS), told an Animal Welfare Foundation forum in London, on Monday, the pig industry was coming under increasing threat from emerging disease such as enzootic pneumonia and PRRS. Can we learn to farm without antibiotics? Mr White, a pig veterinary consultant and past PVS president, said vets had a ’moral duty’ to control animal disease prophylactically. Stressing the long-held veterinary tenet ’prevention is better than cure’ holds just as strong today, he said it was often too late to address disease once the symptoms became visible. Mr White outlined how improvements in housing, husbandry and vaccines could all help, but, highlighting the limitations with some vaccines, he said prophylactic use of antibiotics remained essential. Referring to the recent publication of the O’Neill report and the wider political and media pressure to address antimicrobial resistance, he said: “If we are not allowed to prevent disease in every which way available, we will have unnecessary, unacceptable suffering. “To just call, as many are doing, for rapid immediate reductions is dangerous from the animals’ point of view." He said while there was evidence to suggest antibiotic use in farm animals contributed to AMR in human medicine, the science behind it appeared to be ’dodgy’. Mr White’s comments prompted a backlash among vets in the audience, a number of which questioned whether the messages he was sending out could jeopardise public support for the industry. 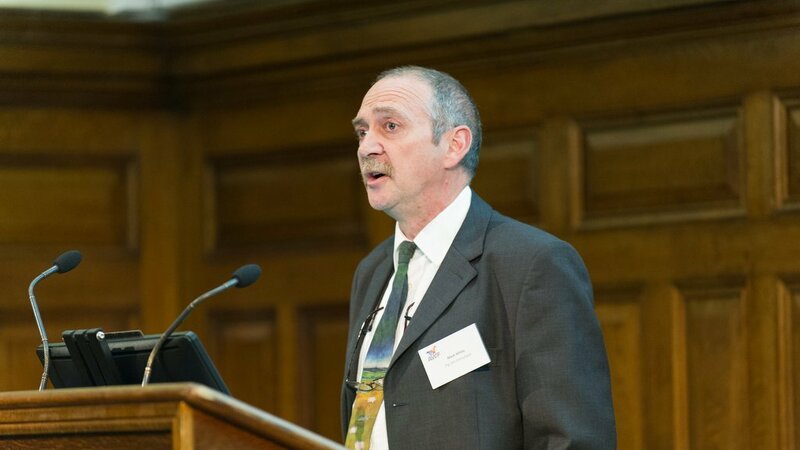 Tim Morris, a member of Defra’s animal health and welfare board, questioned whether the veterinary profession was ‘in danger of getting behind the curve on this’. Mr White defended his comments, acknowledging farmers and vets ‘have to do something and have to be seen to be doing something’. He said the fact that the issue had reached G7 level highlighted the fact scientific discussion on it had now been superseded by political considerations. While some farmers were still not doing enough and vets sometimes farmer resistance when advising on cutting back on antibiotics, he said big strides had been made and most farmers and vets were now using antibiotics responsibly, he said. Despite official figures suggesting usage was not falling, internal PVS data suggested use of antibiotics in pigs had fallen by 40 per cent since 2014, he said, although he acknowledged this was difficult to verify. “All I am calling for is that it does not get even faster because it is the animal that will suffer,” Mr White said. “I have been to three meetings where people have said we can afford to let a few individual animals die for the greater good of reducing antimicrobials. Sainsbury's has not seen any spike in consumer concern over antibiotic use in livestock following the recent avalanche of publicity on the subject. But the supermarket is working with farming and veterinary organisations to review its antibiotic strategy to assess whether more needs to be done, Sainsbury’s head of agriculture Sue Lockhart told the AWF forum. She admitted she was ‘surprised’ there had been no increase in inquiries on the subject, as might have been expected given its recent profile. Ms Lockhart said Sainsbury’s has had an antimicrobial strategy in place for a number of years, which was ‘very much about reducing antibiotics in the supply chain but doing so responsibly’. The Government must improve the planning process, including dismissing complaints by animal rights organisations, if it is serious about reducing antibiotic usage on farms, according to the National Pig Association (NPA). The NPA argued keeping livestock in new buildings dramatically reduced the need for veterinary interventions, yet pig farmers in particular were finding it increasingly difficult to get planning permission to replace worn-out buildings. That the level of detail demanded by planners should be proportionate to the scale of the application. That planners should reject all attempts at interference by animal rights and vegan organisations, as such organisations are opposed to all livestock farming on principle, and their arguments are irrelevant to the planning process. That planners should not accept representations from third parties after a consultation period has ended, as it adds cost and uncertainty for the planning applicant. That strict timelines should be observed by statutory consultees such as the Environment Agency, to prevent unfeasible delays in the planning process. NPA’s Dr George Crayford, who leads the NPA Pig Industry Antibiotic Stewardship Programme, said: “The recent O’Neill report on antimicrobial resistance stressed one of the most fundamental ways to reduce use of antibiotics is to break the chain of transmission of infections and that’s exactly what new pig housing does. “Many pig farmers are prepared to invest in new housing, if only they can get planning approval in the face of intimidatory campaigns by animal rights groups, and dithering by statutory consultees.